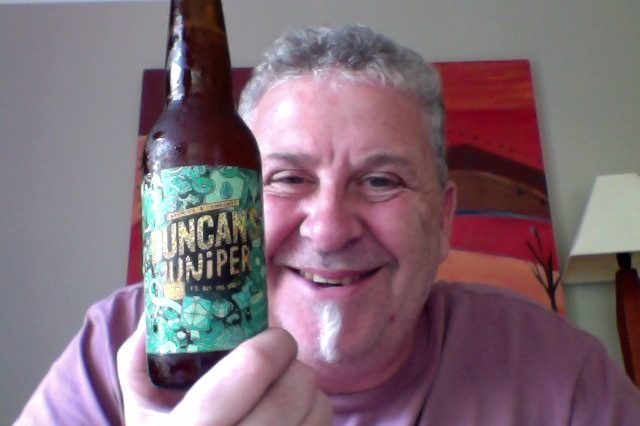 Brewed with Juniper berries which deliver hints of pine and citrus aroma and flavour. So, What could possibly go wrong? Well with Juniper you could possibly expect a Gin like nose and tang when drinking. You can notice that Juniper high note. The pour is like a marmalade orange, with a sharp white head that faded a bit but looked amazing on top there. Nice fruity bitterness, that hints towards marmalade now that I have that in my head, and with a dry note at the end reminiscent of a decent Gin. It is, overall, more towards the high bitter end of drinking sups, with a peaky bitterness carrying that there. It is however rather spiffing to drink and rather the thing at the end of a hot dry day, and the end of a week and a nice pick-me-up for what ails you. The pdubyah-o-meter rates this as 8 of its things from the thing. Logically I have tho think what comes next. A unique hopa-tropical taste. Lots of citrus and tropical hop notes with a smooth malty back bone. 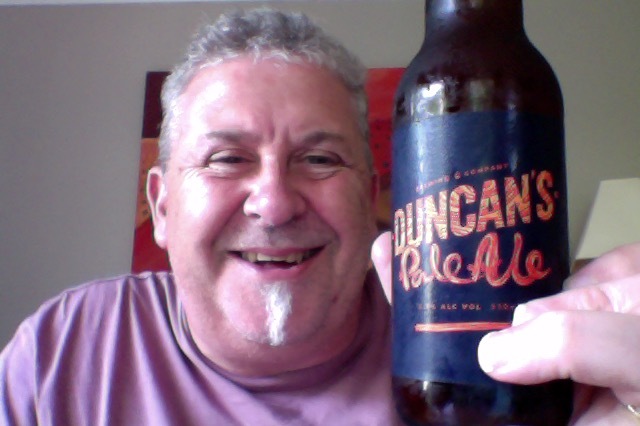 Unsurprisingly I’ve had this a couple of times previous, including with the Beer Jerk NZ beer club people. The Beer Jerk selection delivers some pretty high quality beers on a consistent basis, so this being one of the beers should indicate the pedigree to the casual observer is all I’m saying. 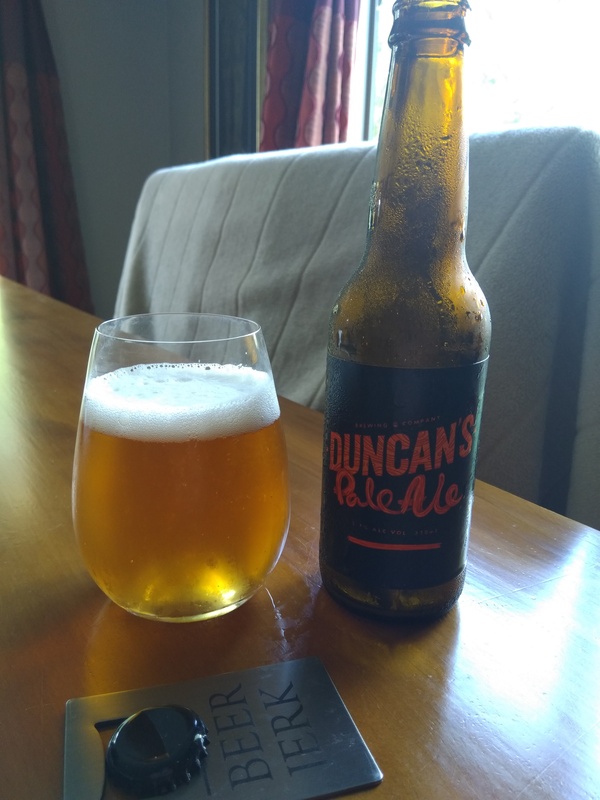 I rated it a fairly solid an very enjoyable beer, and of course I picked the beer before I go back and see that I thought about it, which in this instance only adds pressure on me to agree with my past self. 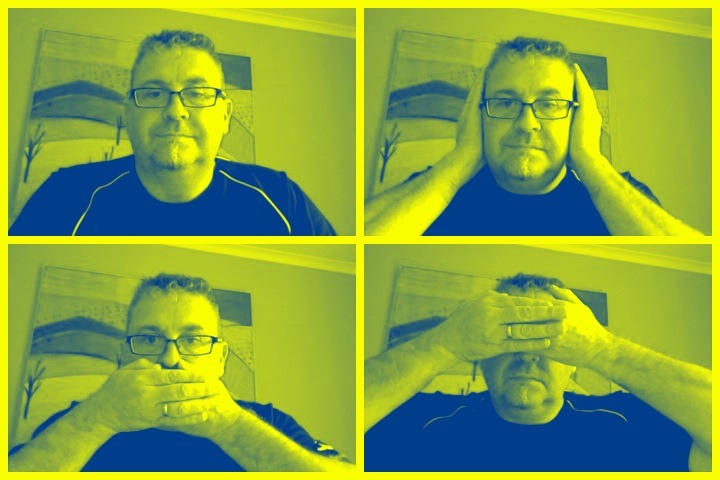 The pour is a pale orange yellow that isn’t one thing or another, the head is white, not brilliant but it is persistent. I like persistent. Aroma is more malt than anything, and weirdly dry grass. I don’t know my nose. I’ve tasted this and can all you that nothing has changed my mind about this being a solid and decent Pale Ale. It has a seemingly thudding dryness at the end and is gently bittered through the curve, and has an underlying fruitless or sweetness that makes it all get along very nicely in the quaff. Which is two top-notch beers, or a 33% success rate, which by any measure is outstanding. I’ve had mix packs that are a shambles of poor thinking and worse brewing, this is not one of them. 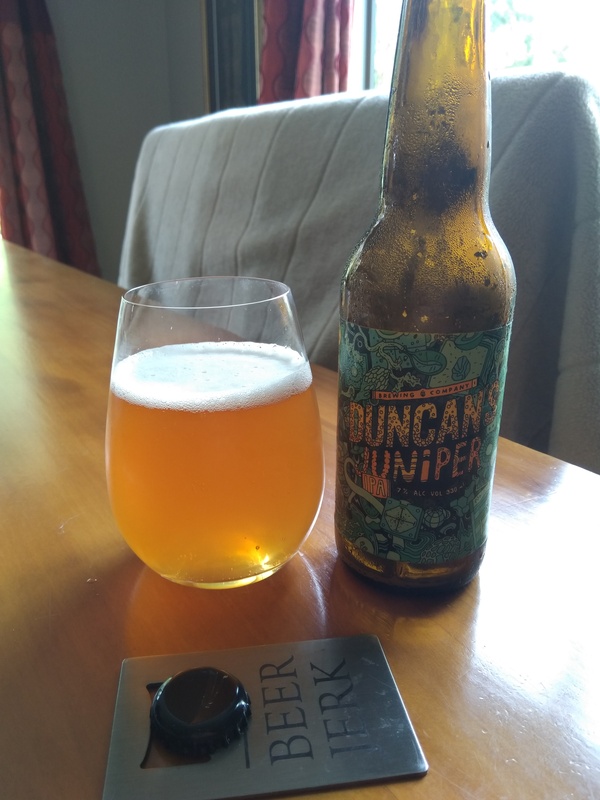 This entry was posted on January 11, 2019 by Philip Walter in Beer, Beer of New Zealand, Beer Review, Craft Beer, Critic, Duncan's, India Pale Ale (IPA) and tagged Duncan's Brewing Co, Duncan's Juniper IPA.